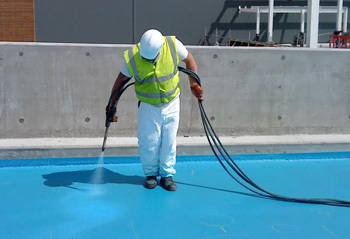 We are a highly professional waterproofing company with immense experience in the provision of core services. No matter the size or urgency of your needs, you do not have to worry since our contractors have a readily available cost-effective solution for you. We are frank with our clients; if your roof is in a bad condition or it needs complete replacement, our specialists will tell you so. At waterproofing Pretoria East, we believe that prevention is better when done early, so we check out all the areas around your home or office to find whether there are any signs of wetness occurring sooner or later so that we may cure it on time. Knowing whether your tiles have a problem or not is not an easy task. However, just hoping that it does not have a problem will not help either. Our maintenance service and roof waterproofing Pretoria East is one of a kind. From inspection to repair, you can expect to get all these services at an extremely low price. We are leaders in the market and our contractors are looking forward to helping our clients get quality services no matter how tight their budgets may be. If our impeccable track record is anything to go by, trust us to get any task done right on time. If you need your leaking roof repaired, or basement tanking, you know where to turn to. We do not give false promises –whether you reach us by phone or visit our premises, our contractors will deliver exactly what we say. Pretoria East roofing begins from analysis and diagnosis all through to installation and maintenance. Therefore, no matter the kind of task you need accomplished, you can always rely on us. Our services conform to the highest standards and our team does not need supervision to work exceptionally. Hurry up! Call us today on 012 004 1887!